In a move that is surprising a lot of people, Marissa Mayer, arguably the face of “local” at Google, will leave immediately to take the top job at online media company Yahoo. 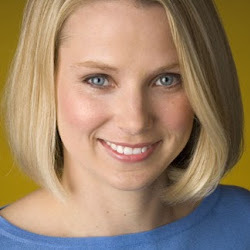 The appointment as Yahoo’s new president & CEO, announced today, takes effect tomorrow. Long transition periods tend to go by the wayside when one is jumping to a competitor. Mayer was Google employee number 20, and has risen steadily through the ranks, leading the charge on a number of popular Google products, including search, email, news and images. She was also part of the company’s operating committee, the definition of Google’s inner circle. Mayer has recently led Google’s efforts in local. However, in recent months her role has been a bit less clear, following a reorganization that placed Jeff Huber directly responsible for local. Mayer has since shown signs of restlessness, for example joining corporate boards (notably Wal-Mart). Mayer’s legacy includes instrumental roles in building Google Places and in pulling off the Zagat’s acquisitions. Some misses include the failures to acquire Yelp and Groupon. The Yahoo job makes sense for Mayer in that it allows her to take a leadership role, one that may never become available at Google. Yet the move involves risk, since Yahoo is a company in flux, trying to find a business model that will rescue it from the position it now finds itself in, a second tier online player operating in the shadows of Google and Facebook. Yahoo still has a strong brand, particularly in areas like sports and finance, but it has failed to keep pace with its rivals and revenues have stagnated. Yahoo is certainly in need of some strategic vision and leadership. The company has recently seen a revolving door of CEO, with the most recent chief, Scott Thomson, leaving just four months into his tenure amid allegations that he lied about his academic credentials. Thomson had announced a new strategy built around marketplaces and e-commerce (a move away from advertising), but the strategy died with with departure. Yahoo has been lead by interim CEO Ross Levinsohn since Thomson’s departure. Over the years, Yahoo has become a company that is much more about content than search, having outsourced search to Microsoft in 2009. This may be an adjustment for Mayer, who is more familiar with search from her years at Google. Acting CEO Levinsohn is a veteran of News Corp., CBS and Saatchi and Saatchi. Mayer might be wise to leverage Levinsohn’s savvy and experience in the ad world as she acclimates to her challenging new role. Wow that is a massive move! Marissa has been the face of Google for years. Google will really miss having a personable presence around the place. That said, what is she thinking??? Talk about taking on a tough role!